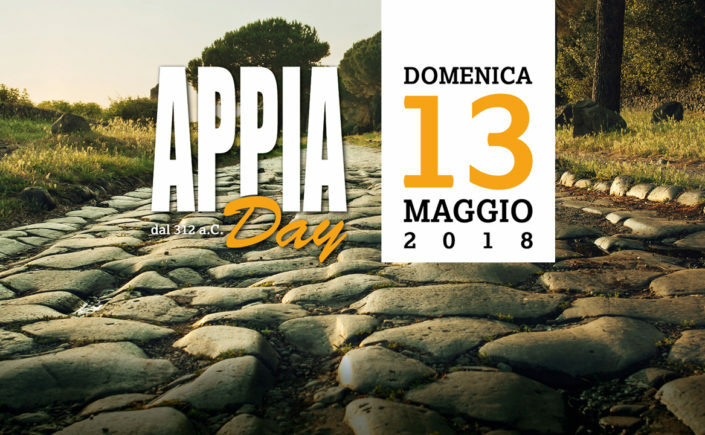 (Source: www.appiaday.it/): Appia Day 2018 will feature special openings on Sunday, 13 May 2018 of catacomb regions, monuments, and artifact collections, as well as other historic sites along the via Appia Antica. Program and updates at: http://www.appiaday.it/ (email: info@appiaday.it). The Museum of the "Torretta" at the Catacombs of San Callisto will be open to the public (via Appia Antica, 100). Hours: 9.00-19.00 (last entrance at 18.30). Special tours will be held of the Chamber of Orpheus in the Catacombs of Callisto (meeting point: Via Appia Antica, 110/126). Hours: Hours: 9.00-19.00 (last entrance at 18.30). Special tours will be held of the Basilica of the Greek Martyrs in the San Callisto cemetery. The Museum at the Catacombs of Domitilla will be open to the public with guided tours. Hours: 9.00-19.00 (last entrance at 18.30). The Museum at the Catacombs of Pretestato will be open to the public, including visits to the Spelunca Magna inside the cemetery (via Appia Pignatelli, 11). Hours: 9.00-19.00 (last entrance at 18.30). The Museum at the Catacombs and Basilica of San Sebastiano will be open to the public, featuring sculpture fragments, epitaphs, and other artifacts. Hours: 9.00-19.00 (last entrance at 18.30). The Tomb of the Scipios will be open for tours on the half hour, but it is necessary to reserve in advance (via di Porta San Sebastiano, 9). The Columbarium of Pomponius Hylas will be open for a tour at 10 (via di Porta Latina, 14). Other monuments and archaeological parks open along the via Appia Antica include: San Giovanni in Oleo; San Giovanni a Porta Latina; Sepolcro di Priscilla; Mausoleum of Cecilia Metella (free entry); Villa dei Quintili (free entry); Villa di Massenzio (free entry); Caffarella Cistern; Church of Sant'Urbano alla Caffarella.